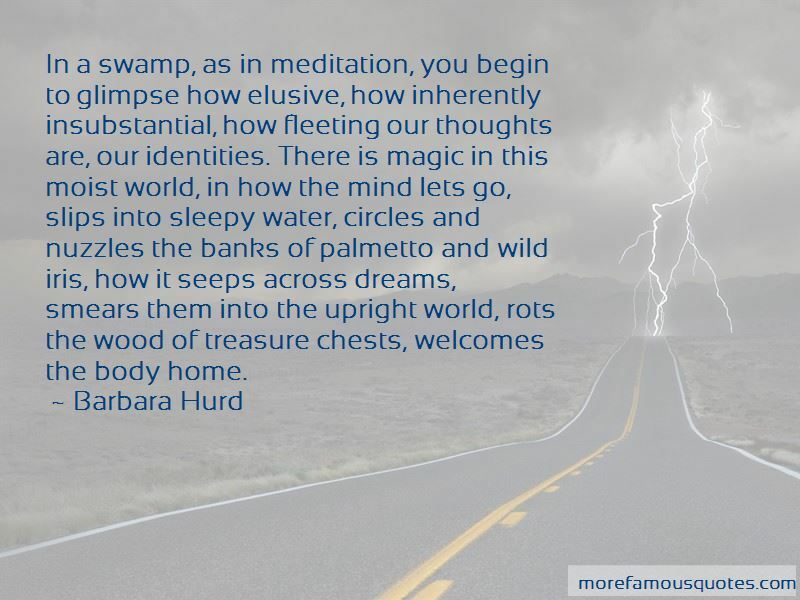 Enjoy the top 6 famous quotes, sayings and quotations by Barbara Hurd. 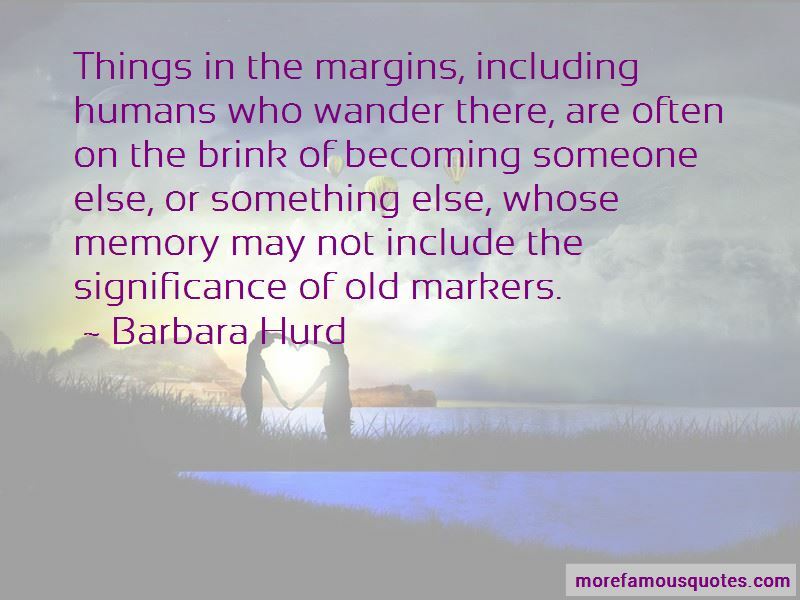 Things in the margins, including humans who wander there, are often on the brink of becoming someone else, or something else, whose memory may not include the significance of old markers. Silence arrests flight, so that in its refuge, the need to flee the chaos of noise diminishes. We let the world creep closer, we drop to our knees, as if to let the heart, like a small animal, get its legs on the ground. Caves so often symbolize rebirth. It's a hidden space, an expected, inscrutable space. Strange things live in there - eyeless salamanders, albino fish, a prophet's epiphanies. 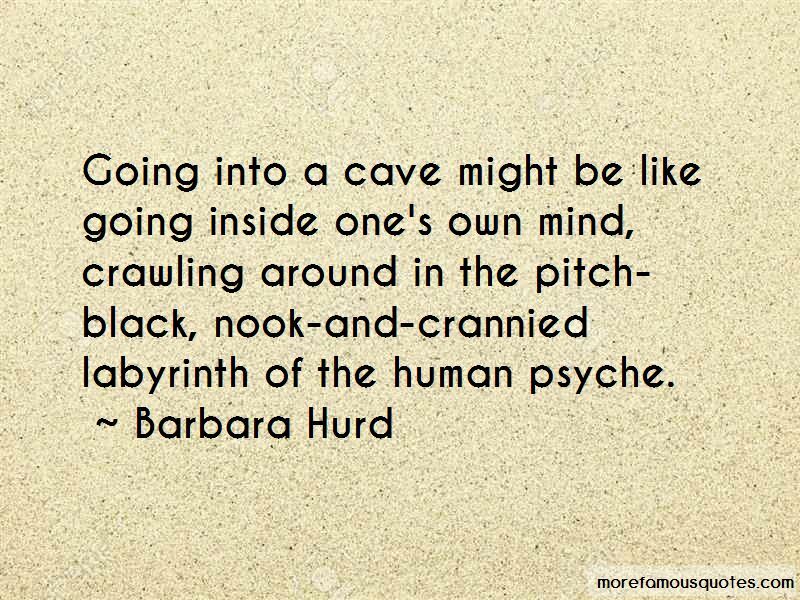 Want to see more pictures of Barbara Hurd quotes? 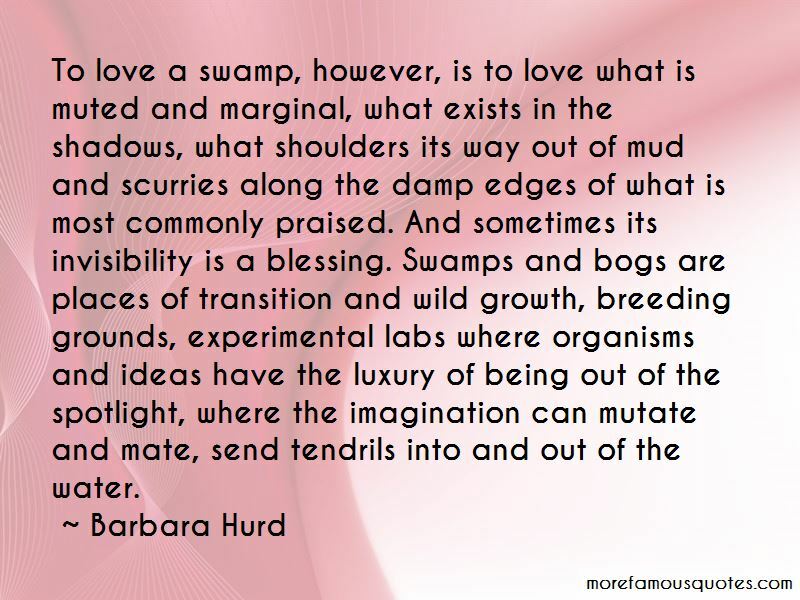 Click on image of Barbara Hurd quotes to view full size. “Im talking about these people whove ended up in one life instead of another and they are just so disappointed. Do you know” — Anonymous.